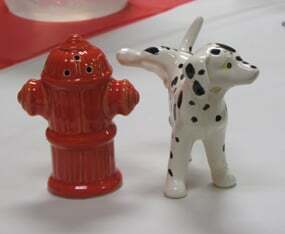 Appropriately themed salt and pepper shakers. 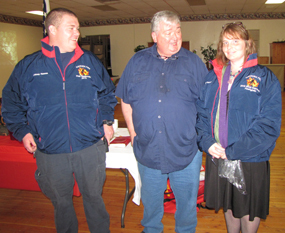 The Hayfork Volunteer Fire Department brought its team and team’s relatives together Feb. 22 for the annual Awards for Firefighter Recognition Dinner. It was held in the dining hall at the Trinity County Fairgrounds with members of the Solid Rock Church providing the amazing dinner and impeccable personal service. This was the third year the SRC had the honors of preparing the food and providing the service, and I’m here to tell you that both were top-notch.